Pancreatic Disorders & Therapy provides the rapid bi-monthly publication of articles in all areas related to Pancreatic Disorders on quaterly basis. The topics of the interest include but aren't limited to Pancreatic Disorders, Pancreatitis, Pancreatic cancer, Acute pancreatitis, Chronic pancreatitis, Pancreas anatomy. Pancreatic Disorders & Therapy welcomes the submission of manuscripts that meet the general criteria of significance and scientific excellence. Papers will be published approximately one month after acceptance. As a member of Publisher International linking Association, PILA, Pancreatic Disorders & Therapy (of Longdom Publishing) follows the Creative Commons Attribution License and Scholars Open Access publishing policies. Pancreatic Disorders & Therapy is the Council Contributor Member of Council of Science Editors (CSE) and following the CSE slogan Education, Ethics, and Evidence for Editors. Pancreatic Disorders & Therapy editorial policy that encourages researchers to submit the original research, reviews and editorial observations as articles, well supported by tables and graphic representation. Pancreatic Disorders & Therapy is self-financed and does not receive funding from any institution/government. Hence, the Journal operates solely through processing charges we receive from the authors and some academic/corporate sponsors. The handling fee is required to meet its maintenance. Being an Open Access Journal, Pancreatic Disorders & Therapy does not collect subscription charges from readers that enjoy free online access to the articles. Authors are hence required to pay a fair handling fee for processing their articles. However, there are no submission charges. Authors are required to make payment only after their manuscript has been accepted for publication. 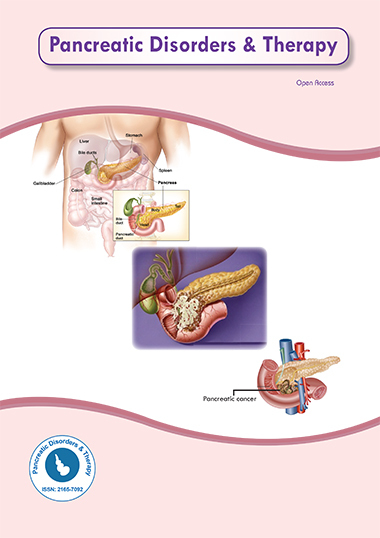 Pancreatic Disorders & Therapy is an open access journal. Each article published by the journal follows a specific format. As a member of Publisher International Linking Association, PILA, Pancreatic Disorders & Therapy follows the Creative Commons Attribution License and Scholars Open Access publishing policies. All works published by Pancreatic Disorders & Therapy are under the terms of the Creative Commons Attribution License. This permits anyone to copy, distribute, transmit and adapt the work provided the original work and source is appropriately cited.